Geoffrey Mott is a skilled advocate with a well-deserved reputation for his thorough research and presentation. He is popular with clients and solicitors alike for his approachability and his ability to absorb and explain intricate issues. His preparation and attention to detail invariably produce successful outcomes. He is undaunted by complex and difficult cases. He is also a qualified mediator. He is London based and is happy to travel. 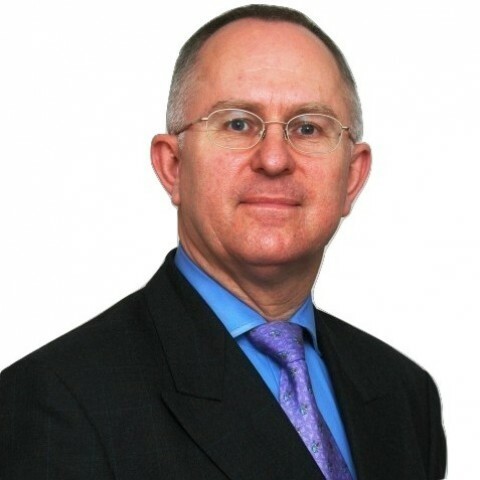 Geoffrey has a wealth of experience across a broad range of civil law including commercial; sale of goods; partnership; insurance; building & boundary disputes; landlord and tenant; housing and co-ownership of property. He has conducted hearings at all levels up to and including the Court of Appeal. He has appeared before Tribunals (including the Solicitors’ Disciplinary Tribunal) and Adjudicators (regarding construction contracts pursuant to the Housing Grants, Construction and Regeneration Act 1996). He has experience of dealing with health and safety and a wide variety of issues connected with highway maintenance including claims for damaged apparatus and services. Geoffrey is a specialist in all aspects of Personal Injury work including Clinical Negligence. The majority of his work is personal injury based and he has extensive experience in representing both Claimants and Defendants. He has wide experience of Clinical and Dental negligence cases. F1 Motor Racing; International Rugby (Wales); Travel and Theatre. Many thanks for a fantastic result and for your assistance in this matter. It was my great pleasure to observe your extraordinary performance in Court and the ultimate outcome. Thank you so much for your draft particulars of claim. Looking forward to work with you [Geoffrey Mott] in the near future. Thanks again (Geoffrey Mott) for all your help and assistance with this case and the excellent result obtained! Geoffrey (Mott) is always approachable - whether it's on a matter upon which I've instructed him or when I just want to get on the phone and pick his brain. He will often go above and beyond to assist me and, most importantly, our clients. Geoffrey is efficient, professional and thorough. I would highly recommend him. I began instructing Geoffrey (Mott) having first encountered him as a formidable and ultimately successful opponent on a complex costs matter. He is approachable, deals with paperwork promptly and thoroughly, and quickly establishes a highly detailed understanding of the intricacies of cases put before him. Tactically astute, and unshakeable on his feet, I would recommend him most highly and would certainly want him fighting my clients’ corner. Geoffrey (Mott) is an excellent advocate who is genuinely willing to fight in Court. His attention to detail and evidence results in successful outcomes each time. I often receive good feedback from clients who are impressed with Geoffrey’s impressive advocacy skills as well as his ability to build a good rapport with clients. Outside of these key areas of law, Geoffrey Mott (1982) is always willing to consider any enquiry requiring the experience or knowledge needed to help you or your client. Please call Geoffrey direct or the support team on 01823 247 247 if you would like to discuss any aspect of this profile. Unreported : Champion –v- Flight  Fam Div (192 couples married on unapproved premises). 1. This is a privacy notice that describes how, why and for how long I will process or keep your personal data in accordance with the General Data Protection Regulation (‘GDPR’). 2. The GDPR governs how an individual’s personal data is used and your rights in relation to that data. 3. I, Geoffrey Mott, have been instructed by you or your litigation friend (usually a parent) through your solicitor or agent. · advise, review or comment on legal issues or evidence. 5. Processing means anything done to data such as : recording, organising, adapting, altering, copying, consulting, transmitting, combining, erasing or storing it. 6. The processing for the purposes listed above will take place in accordance with either Article 6(1)(a) GDPR or Article 6(1)(b) GDPR, depending on how you instructed me. 7. If you have instructed me on a Direct Access basis, or engaged a solicitor (or legal agent) to assist you in bringing or defending a claim then the processing is necessary to perform a contract to which you are a party (Article 6(1)(b) GDPR). To give effect to that contract (i.e. to bring a claim) it is necessary for me to process your personal data for litigation purposes. (vii) Current, past or prospective employers. 9. In some cases I will have been given your personal data that is within the ‘special categories’ of data described in GDPR Article 9 (1). For example, personal data that reveals your race, ethnicity, sexual preferences, political or religious beliefs, trade union membership or health. There are also restrictions for processing information regarding criminal convictions. 10. This type of personal data will only be processed where it is necessary in order to represent you in your legal claim, or to advise you on the prospects of a legal claim. 11. I will retain your personal data for no longer than is necessary, and where it is possible, I will anonymise your data. 12. How long your personal data is kept will depend upon a number of factors. The retention period will be reviewed when the service with which I am providing you is complete. However, in general, I am obliged by the Bar Code of Conduct and by HM Revenue and Customs to retain records of my cases for 6 years. (iv) to refer back to in future cases which raise similar legal, factual, or procedural issues. 14. The processing for the purposes listed in paragraph 13 (ii), (iii) and (iv) above will take place in accordance with Article 6 (1) (f) GDPR. That is, for the purposes of legitimate interests that are not outweighed by your interests or fundamental rights and freedoms. 15. The processing for the purposes listed in paragraph 13 (i) above will take place in accordance with Article 6 (1) (c) GDPR. That is, the processing is necessary for me to comply with a legal obligation. 16. Where processing of your personal data was based on your consent (see paragraphs 6 and 7 above) you have the right to withdraw that consent at any time. This does not affect the lawfulness of the processing based on consent before its withdrawal. 17. Withdrawal of your consent to process such data will most probably mean that I am no longer able to provide you with the legal services that you seek. 18. You may request confirmation that your personal data is being processed by me and details about the personal data, the source, the processing, the purposes of the processing, the recipients and the retention period. 19. You may request a copy of your personal data that is being processed by me. You may also request rectification (i.e. correction) where there are inaccuracies in the personal data. 20. You have the right to object, on grounds relating to your particular situation, at any time, to processing of your personal data in paragraph 13 of this privacy notice. Should you object, the processing will only continue where there are compelling legitimate grounds for the processing which override your fundamental rights, freedoms and interests. 21. Where the processing or retention of your data is necessary for the establishment, exercise or defence of legal claims, it will not be possible to object. (v) The personal data have to be erased to comply with a legal obligation. 23. You have the right to request that your personal data is restricted from processing, so that it is simply stored, for the following reasons : as an alternative to deletion; so that it can be corrected; for the establishment, exercise or defence of legal claims; to verify if a legitimate ground exists (paragraph 13). 24. Where it is necessary to correct your personal data, or you have requested the restriction or erasure of your personal data, I shall endeavour to contact the recipients of the personal data, unless this involves disproportionate effort. 25. I take appropriate physical and technical procedures to safeguard your personal data to prevent it from being accidentally lost, used or accessed in an unauthorised way. The I.T. systems used by Clerksroom are ISO 27001 compliant. 26. If you have any questions regarding this privacy notice, or how I use your personal data please email me (mott@clerksroom.com) or my clerks (mail@clerksroom.com) or telephone 01823 247 247. 27. I shall aim to respond as soon as possible, and within 30 days.